This statistic shows the share of passengers left standing on various train operator services at peak hours in Manchester (UK) in 2016. The First TransPennine Express was the busiest service with around 13 to 14% passengers having to stand during both morning and evening peak hours. 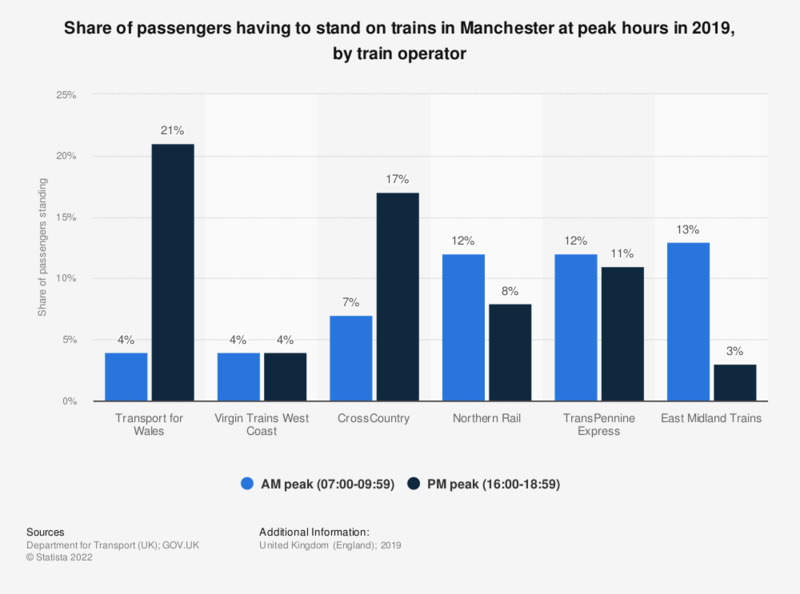 The average percentage of standing passengers on trains in Manchester for morning and evening peak hours was 12 and 11 percent respectively for 2015.